Word in italics refer to another entry in this list. Barbados sugar : brown cane sugar . 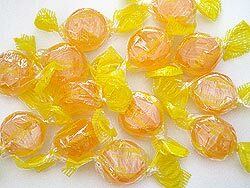 Barley sugar : no sugar, but an American hard, lemon-flavoured candy that was originally made from barley water to which sugar had been added. 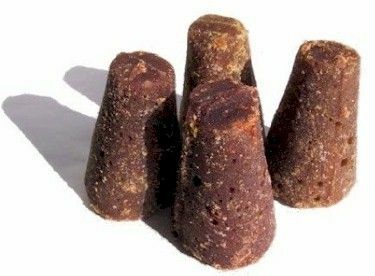 Beet sugar : white crystalline sugar (saccharose ) obtained from sugar beets. Brix (degrees) : a measure used to determine the amount of sugars in a solution, based on the refraction of light. Used mainly in the fruit- and soft drink industry. Brown sugar : sugar to which is added a bit of molasses for flavour and colour. Cane sugar : white crystalline sugar (saccharose ) obtained from sugarcane. 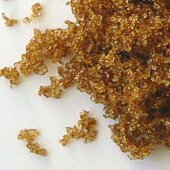 Sometimes sold as a type of brown sugar in Europe . Caramel : the products obtained by heating sugar. Brown-to black substances with a pleasant aroma. Used as food colours (E150) and flavours. 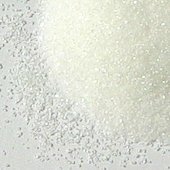 Castor sugar : Castor or caster sugar is the name of a very fine granulated sugar in Britain, so named because the grains are small enough to fit though a sugar "caster" or sprinkler. Because of its fineness, it dissolves more quickly than regular white sugar, and so is especially useful in meringues and cold liquids. It is not as fine as powder sugar, which has been crushed mechanically (and generally mixed with a little starch to keep it from clumping). Corn sugar : glucose obtained from corn. 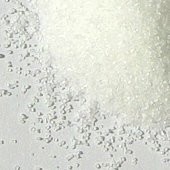 Crystal sugar : normal granulated cane or beet sugar, see saccharose. Sold as grains or pressed into sugar cubes. Dextrose : English for glucose . Fructose (syn. levulose, fruit sugar) : a rather sweet sugar (1,7 times as sweet as normal sugar), mainly found in fruits and honey . Galactose : a sugar which is not normally found in foods, except as part of other sugars, such as lactose (milk sugar) and raffinose (a sugar in beans). Often part of cell wall components in plants. Gelating sugar (syn. gelling sugar, jam sugar ) : mixture of granulated sugar and pectin (E440). Used for making jellies and marmelades. Glucose (syn. dextrose) : a sugar found in many plants, also in blood. The main source of energy for the body. Less sweet than saccharose. 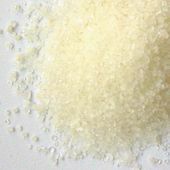 Granulated sugar : the normal small sugar crystals used at home. Grape sugar : synonym of glucose. Gula djawa : partially refined sugar from Indonesia . Made of cane sugar or palm sugar. Gur (syn. 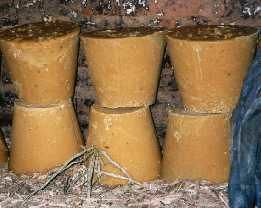 jaggery) : partially refined sugar from India . Made of cane sugar or palm sugar. HFCS : High Fructose Corn Syrup. A syrup obtained from corn starch. The starch is first enzymatically degraded to glucose, which is then converted enzymatically to the more sweet fructose . Used as a high intensity sweetener. 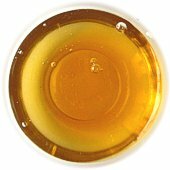 Honey : an 80% solution of sugars in water. 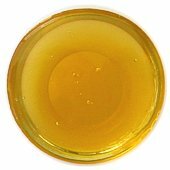 Main sugars in honey are fructose, glucose and saccharose. Icing sugar : powdered sugar used for icings on cakes. Invert sugar : Invert sugar is created by combining a sugar syrup with a small amount of acid (such as cream of tartar or lemon juice) and heating. This inverts, or breaks down, the saccharose into its two components, glucose and fructose, thereby reducing the size of the sugar crystals. 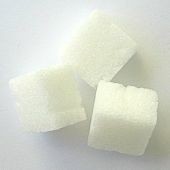 Because of its fine crystal structure, invert sugar produces a smoother product and is used in making candies such as fondant, and some syrups. The process of making jams and jellies automatically produces invert sugar by combining the natural acid in the fruit with granulated sugar and heating the mixture. Jaggery (syn. gur) : partially refined sugar from India . Made of cane sugar or palm sugar. Lactose : the sugar found in milk, a combination of galactose and glucose. Malt sugar : see maltose. Maltose (syn. malt sugar) : the sugar found in malt and beer. Maple syrup : a syrup obtained from the North American maple tree. It is a solution of 70% saccharose and glucose in water. Main constituent is saccharose. Melis : a rather fine type of common table sugar. From Scandinavia . 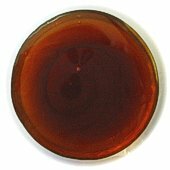 Molasses : Brown by-products of the sugar production. Mainly consisting of caramels and minerals. Used to make brown sugar. Muscovado sugar : dark brown sugar . Oligosaccharides : short-chain carbohydrates obtained from large polysaccharides or by enzymatic processes. Many are present in plants (beans, onion, garlic) or milk. Not or slightly sweet. Used as prebiotics, not to sweeten products. Palm sugar : sugar obtained from dat e palms. Contains mainly saccharose. Piloncillo (syn. panela, panocha): partially refined Mexican cane sugar. It is pressed into a cone shape; the name means little pylon. Powdered sugar : Powdered granulated sugar, also known as confectioner's sugar. It is crushed mechanically, so no crystals remain. It is sometimes mixed with a little starch or anti-caking agent to keep it from clumping. Rock sugar : not as sweet as regular granulated sugar, rock sugar comes in the form of large clear, white or amber-coloured crystals. 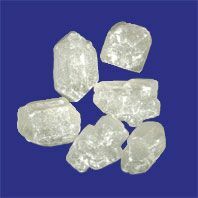 Clear and white crystals are made by slow crystallisation from a saturated sugar solution. 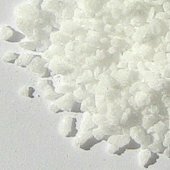 White rock sugar has small cracks which reflect the light, which results in a white colour. Amber coloured crystals contain some caramel. It is less sweet, due to the presence of water in the crystals. Saccharose (syn. sucrose, table sugar, crystal sugar) : the official chemical name of the main type of sugar and the sugar used mainly in products and at home. 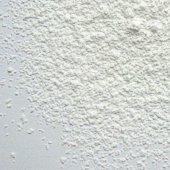 Sanding sugar : Sanding sugar is coarse sugar or decorating sugar. The crystals are 4 times larger than those of regular granulated sugar. 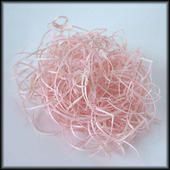 It is used for decorating baked goods. Pearl sugar : see sanding sugar. Decorating sugar : see sanding sugar. Spun sugar : fine strands of hardened boiled sugar that are used to decorate various desserts. Spun sugar begins by cooking sugar, water and cream of tartar to the hard-crack stage. A fork or whisk is then used to dip into the sugar syrup and draw out fine threads. Sucrose : English for saccharose. Sugar : normally used as a synonym for saccharose. Chemically sugars are identical to carbohydrates. Superfine sugar : a type of sugar in the USA. A very fine granulated sugar, see Castor sugar. Sweeteners : non carbohydrate sweet substances. Most are artificial, but some are natural. Sweetness ranges from 0.8x the sweetness of sugar (such as sorbitol) to 2000x (the protein thaumatin). Syrup : a thick viscous solution of sugars in water. Sugar content ranging from 50-80%. Table sugar : normal granulated cane or beet sugar, see saccharose. Vanilla sugar : fragrant and flavourful sugar made by burying vanilla pods (beans) in granulated sugar; usually in the proportion of two pods for each pound of sugar. The mixture is stored in an airtight container for about a week before the vanilla pod is removed. The result is a delicious and aromatic sugar that can be used as an ingredient or decoration for baked goods, fruit and other desserts. Vanilla pods may be reused in this fashion for up to 6 months. Vanilla sugar can also be made with pure vanillin instead of vanilla. The flavour is strongly vanilla-like, but clearly distinct. This sugar should properly be named vanillin-sugar.